Stop paying your mortgage today!… and be a victim! Well, if you know me, and lets be honest you don’t… yet. When people want my opinion, I give it to them. When you don’t want my opinion, I still have one. I might not give it to you, but when you’re not looking my opinion is looming over you waiting to pounce. The articles is titled: A million-dollar mortgage goes unpaid for years while couple fights foreclosure. Say what now? With a title like that, who the hell wouldn’t click the link and read the article? It’s a Washington Post article and like all news sites they want to maximize page views and ad space so they require you to click through 6 pages to read the whole article. I highly suggest you read the whole article, but I’ll give you the cliff notes version. See, the financial pundits always tell you when to get it, but they never tell you when to get out now do they? This couple bet everything on black and spun the real estate roulette again this time with 1.29 million on the table. They bought the most mansion of mansions, named it “Gods House” and all. Because obviously the big man upstairs wanted you to ball out beyond measure and shine on your haters. Unfortunately, the ball landed on 00 (big guy upstairs has a funny sense of humor, I guess) when they moved into the 4900 square foot mansion on the river. By this I mean that the home’s value plummeted. They couldn’t flip it, and they were stuck with a home they couldn’t afford. So, they have been using various tactics to hold off foreclosure for the last 5 years, all while not paying 1 cent to the their lien holder since moving into the mansion. The Ritters have kept the sheriff at bay by repeatedly filing for bankruptcy and by exploiting changes in Maryland’s laws designed to help delinquent homeowners avoid foreclosure. This couple has gamed the system to make money and is gaming the system to stay in a house that they should have been evicted from years ago. I applaud their working of the legal system to stave off foreclosure time and time again, but I hope these people are not looking for sympathy (they were). Let me get this straight, when they were flipping overpriced homes and purchasing luxury goods everything was all good. But, when the market bottomed out, and they had to have skills to make money… woe is me? He had the nerve to say, “real estate is all I know.” Apparently not, since you can’t make it work in a down market and oh… and that whole… fraud thing. The thing that really burnt me up was the complete hypocrisy of it all. These people claimed to religious and into the church, but they clearly violated the biblical principles concerning debt to maintain a pretentious lifestyle. They didn’t even bat an eye at their wrong doings. They didn’t considered they were wrong for speculating! Do you sympathize with this couple? Specify why or why not in the comments. No sympathy at all. In my mind, not paying your bills is stealing. That's why I admire Jesse Livermore. He was a speculator and declared bankruptcy but ended up paying back everything he owed. They took their shot…it worked out for a while…then it imploded. It happens. It happened to me. But I don't feel like a victim. I don't blame someone else. I had to file Bankruptcy because I didn't plan far enough ahead. Lesson, painfully, learned! I don't want people to feel sorry for me. It was completely my fault. Period. I'd rather people connect with our situation & take steps to NOT make the same mistakes in their life. Makes me wonder why anybody EVER rents at all? Government is on the homeowner's side. They are stealing in essence. Every month they live their without paying the bank anything they are stealing the amount that the place could bring in rent. But I do know that sometimes when you get behind on your mortgage, the bank won't accept partial payments. This happened to my exhusband and I when he was unemployed. They told us to pay the full amount or nothing. Although in hindsight, I wonder if that was their way of getting us out quicker? (We did pull it together then when we divorced, he walked away from the house.). I agree with Cashflowmantra, bills should always be paid. If they are not you are stealing from whoever you are buying your service from. So no sympathy from me. My thoughts exactly! Pay what you owe. Either you are going to pay or you're going to not pay but don't try to act as if you were slighted. Where you both on the loan? 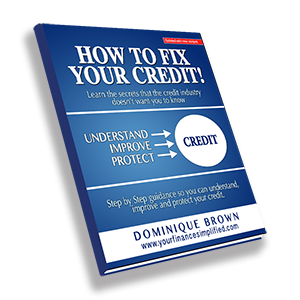 Did your credit get damaged? The problem now is that the rules have went back to how they used to be or maybe even a little more stricter. If you get a mortgage or refinance now, the bank wants 3 years of w2, 2 months of pay checks, 2 months of all bank statements, all your business K1's and they keep you in strict debt to income guidelines. Life is good for people with great credit and 25% loan to value.. if you don't have that now hahahahahah.. good luck. Dave that's my thing. You played the game and accepted the consequences of playing, whether good or bad. What you didn't do was run to a newspaper for sympathy to tell your story. That's my issue with these guys. No the house was his before we met and I was never on the loan. It did not affect my credit (I ruined that all on my own.). He however, ended up filing bankruptcy and having the home foreclosed on. I agree with cashflowmantra. I am a big fan of Jesse Livermore as he had guts to trade and assume responsibility for the outcome. I don't fault anyone for taking advantage of the law, I fault the politicians for putting those rules into play. The problem is the companies and constituents that pay the politicians to create the various laws don't think of the future, and thus have unintended consequences when people learn of the new rules. It's not illegal what they're doing, it may be immoral to some and they certainly won't get any sympathy from me, but they are well within their rights to take advantage of all legal options. I agree with Cashflowmantra, bills should always be paid. If they are not you are stealing from whoever you are buying your service from. Agreed. You sign up and make commit, you pay! Too many people trying to game the system. This day and age bankruptcy happens to a lot of people. Some play victims while some don't. It takes a strong man to stand up and acknowledge that they messed up. Sounds like they didn't have this strength yet. That's a great way to put it Jenn. I guess, instead of manning up they wanted to complain about something. Nothing against claiming BK, just don't claim you were a victim if the debt that caused you BK was consumer debt. I give a pass to medical debt. A few days ago a friend of mine placed a very interesting link on my wall and included this message: “This story made me think of your blog. Dominique, I would love to hear your opinion on this.” Well, if you know me, and lets be honest you don’t… yet…. My question is, who do the Ritter’s owe? The bank probably sold to seurities. If that is the case, the bank no longer holds the note. When the payment stop the security trust is the rightful owner but the banks did not tranfer the note to the security trust. This is were it all goes sour! There are somtimes two or three trusts which rightfully own the note, however the trusts have no idea what mortgages they own. If the bank forecloses, then the bank becomes the owner on the note they sold to securities. So let me ask the question again, who do thr Ritter’s owe?